For all of us who are thinking of purchasing a home or moving in the near future here are some helpful tips to make moving in or out less stressful. Start Early! If you are thinking about purchasing a home or even moving from apartment to apartment start early. You do not have to pack your home completely in advance but take time to start cleaning it. It may seem like a good idea to wait until after the move to get organized, but it can be even more overwhelming. By organizing before the move you can save time and money by not having to move or store items that you would later decide you don’t want or need. Step 1, sort. Take time to sort through your belongings be it one room, or one box at a time. Think about if you use or need the items as you go through them. Yard sales and donations are a good way for most people to part with items without feeling like they are going to waste. Step 2, group. Put items together that are similar in some way. Have a theme for groups: holidays, electronics, crafts, and memories. This doesn’t guarantee a home for everything but it’s a start, be sure to adjust your organization to fit you. Step 3, store. This can be the most critical part to successful organization. 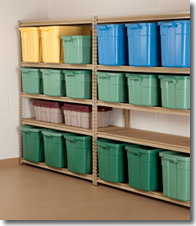 How frequently you use the items is a big factor to how they need to be stored. For example most of us store our holiday paraphernalia in the garage or a storage closet where as we would store towels and blankets in a linin closet. The same goes for all of the small items that we cannot part with due to sentimental value but do not want out in the open. Those items could be stored in a bin and put in the garage so that it does not take up space in the house but still gives you the opportunity to keep those items. Step 4, maintain and enjoy. Change your system to fit your needs as they change overtime. Try not to let clutter build up. If you are able to de-clutter and keep organized throughout the years it will relieve so much stress and make moving so much easier. Keep in mind that not all things are worth keeping. I am in the process of moving, all though you may think you need that 3rd or 4th decorative pillow that has been sitting in a closet for the past 2 years, and you don’t. Take those unused items and either try to profit from them in a yard sale or donate them to a charitable organization. I wish you all well on cleaning and organizing! If anyone has tips or ideas please let me know! Have a wonderful week and happy Monday!